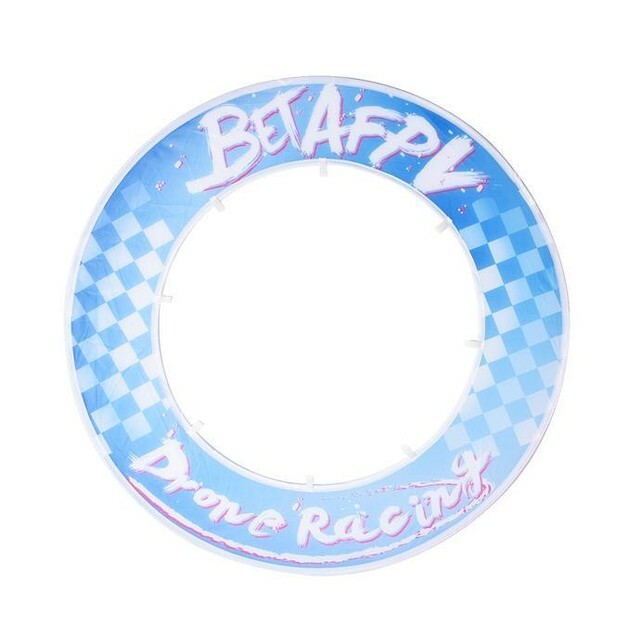 A great idea for your FPV drone racing track and very quick and easy to set up. 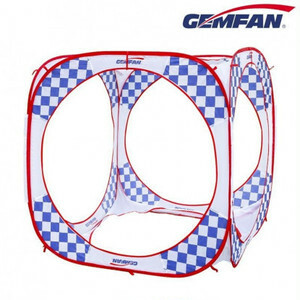 Folded away it is very compact but within seconds it unfolds and pops up, place it on the track where it needs to go, stake it down and you are ready to race. 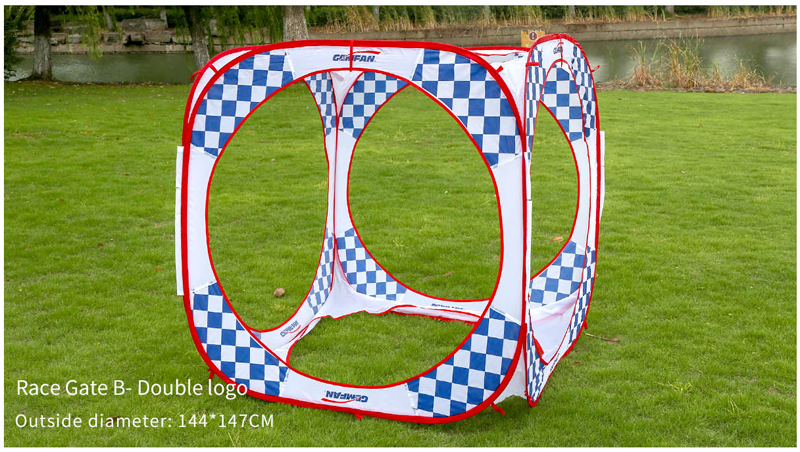 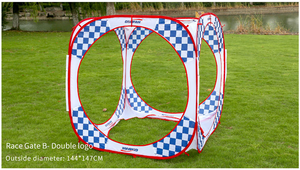 Being a cube with 4 sides it can be used on a multi-directional track and you can also use this as a dive gate, being white with red trim it is very visible from all sides. 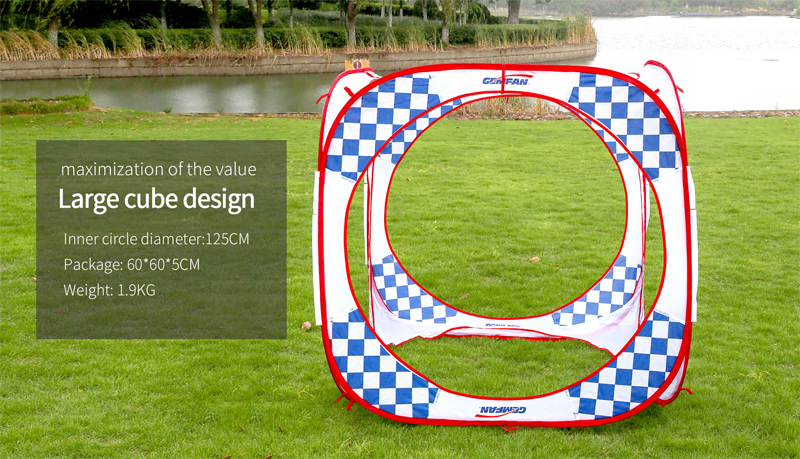 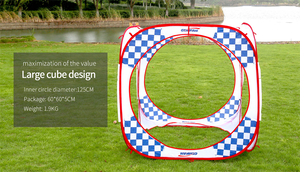 Each side is 144 x 147cm and the internal diameter of the entry and exit gates is 125cm. 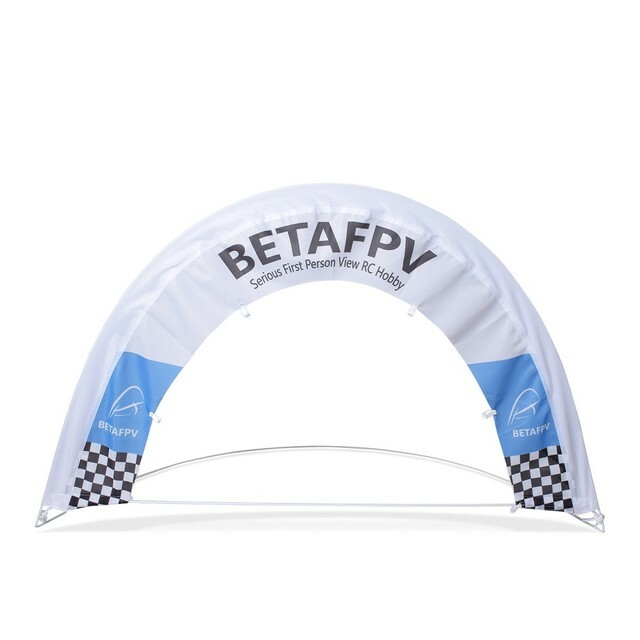 Buy a few of these for your next race or practice meeting and pop up a track in no time at all that also packs up small to have a load of fun and some great racing. 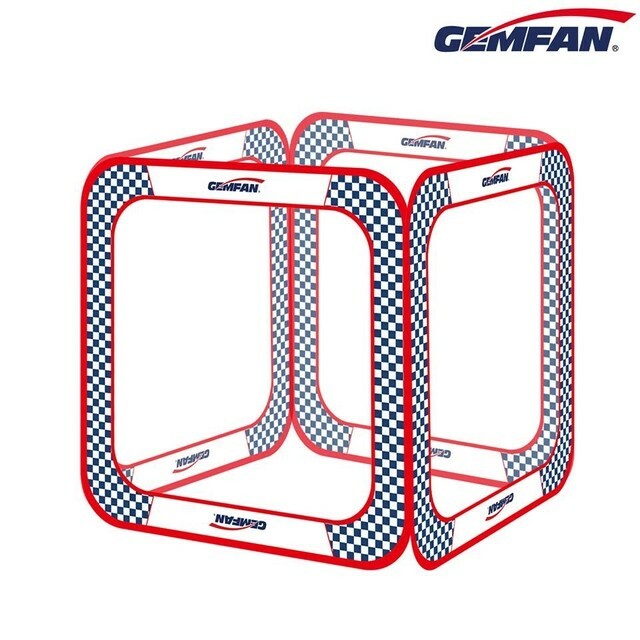 Each cube gate is supplied with 8 ground stakes, 4 guy ropes and a carry bag.